2018 was the third year that my school hosted our annual College Admissions Case Study event and it was a huge hit for the third year running. Not familiar with a Case Study? Don’t worry – I am going to walk you through what it is and how to run your first one over the next few minutes. 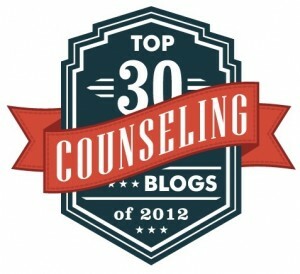 I went ahead and did a little heavy lifting for you and listed 15 of my favorite school counseling blogs below (in no particular order). If you have a favorite blog that is not on the list – please add it to the comments at the end to help myself and the readers find all the good stuff. Enjoy! Having recently returned from the 2017 ASCA National Conference in Denver, CO – I had a lot of learning, reflection, and networking on my mind. I got to meet and reconnect with both uber experienced veteran school counselors and school counselors just starting their journey into the profession. I still feel like a baby-faced newbie, but finishing year five – I feel like I have learned a LOT in that time. I decided I wanted to write a letter to myself that I wish I could have read on day 1 of the job. Check it out below and I hope you think about writing a letter to your future or past self. I want to share with you a step by step guide to creating a tool that we, at my school and other schools in my district, use a ton since we have had it implemented. I cannot take credit for the idea – a colleague in our district had the idea – but I cannot just sit on a great opportunity like this. School counselors know that relationships reign king (or queen) in our line of work. A number of indicators with research backing show that students who feel connected with at least one caring adult at school tend to fare much better. We wanted to capitalize on this fact, but need to know who is or is not connected and with what adults. Finding the balance – What is your school counseling style? Ever feel like you don’t fit the school counseling “mold”? I get you! To best help our students and schools – we need to understand ourselves. Welcome back to the series called The Way I Work – where school counselors around the country give us a look into their offices and the daily grind. Check out some awesome FREE resources for you high school counselors. A class at UCLA created a website that has a different theme for each month of the school year and it is geared towards an 11th or 12th grade class. They also created four posters that you can download below that are useful for helping show the standard process that seniors going through college or financial aid applications take. They are very well done! Enjoy and please share – they want these to be a resource and tool for anyone interested. I want to introduce you to a new recurring feature I plan on bringing to the blog. I am calling it “The Way I Work” and I plan to interview school counselors around the country and feature one every month or so. The focus of the interview is all about how they work, what gets them through their day and actually taking a look at their offices. I thought it would be only appropriate to model it myself – so for this post I will be highlighting how I work and showing you my office. If you are interested in being a part of this series or have a unique/fun/creative office or working style – I especially am interested in hearing and seeing it! Please check out the info at the bottom of this post to learn more about being featured. Hope you enjoy. How a bi-weekly meeting helps support our most at-promise students.